Doctor Who: Was ATTACK OF THE CYBERMEN The Beginning Of The End? | Warped Factor - Words in the Key of Geek. 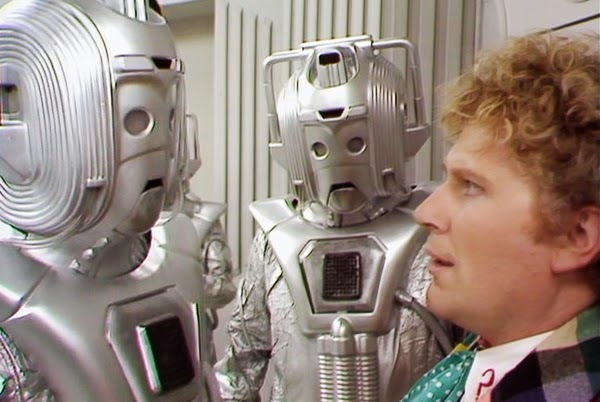 Doctor Who: Was ATTACK OF THE CYBERMEN The Beginning Of The End? Beginning January 5th 1985, did the opening story to season 22 signal the beginning of the end of Doctor Who? Matthew Kresal investigates. For years, fans have debated the merits of Attack Of The Cybermen. They have examined the story itself in terms of its performances, production values and script. What has rarely been done it seems is looking a the story in the context of what was beginning to happen to the series. In light of what was to happen just weeks after broadcast, it might be worth examining this story in a larger context of how the public came to think of the show in this period, and what certain BBC executives were to decide abut the show's fate. Attack Of The Cybermen has long been controversial for its use of continuity. The story is heavily based in the Cybermen adventures of the past, including; the destruction of their home-world of Mondas from their debut story The Tenth Planet; the Cybermen using the London sewers from The Invasion; and the Cyber-Controller and the titular tomb of the Cybermen from the (then missing) 1967 story of the same name. 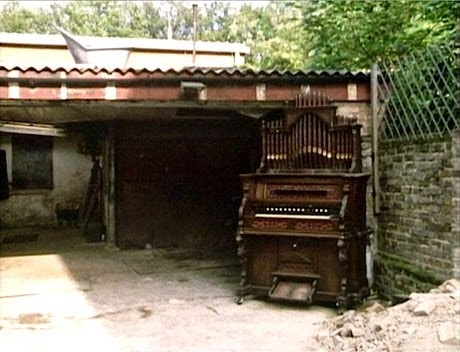 There’s also Lytton from the previous year’s Resurrection Of The Daleks, as well as the TARDIS chameleon circuit (which functions on and off throughout the first episode). This was to be televised Doctor Who at its most continuity heavy and it would have an effect on the show itself. That in turn being us to another ongoing controversy. While credited to Paula Moore (who in fact was Paula Woolsey), behind that name lies an ongoing debate about who really wrote the story. Depending on who you believe one of three things happened. One: Paula Woolsey originated the script but Eric Saward had to heavily rewrite it. Two: Ian Levine created the plot, Saward wrote the script and Woolsey took the credit for reasons of BBC and Writer’s Union rules and regulations. Three: Levine and Saward co-wrote the script. All three have given differing versions of events over the years and, as a result of the apparent subterfuge employed by bringing Woolsey/Moore on board, the issue may never be settled. Whoever wrote the story and whatever Levine’s involvement it would appear that, given Levine’s role as continuity supervisor, he must have been involved. Attack comes across as a story where Levine was given free rein to create what was a greatest hits album for the Cybermen. 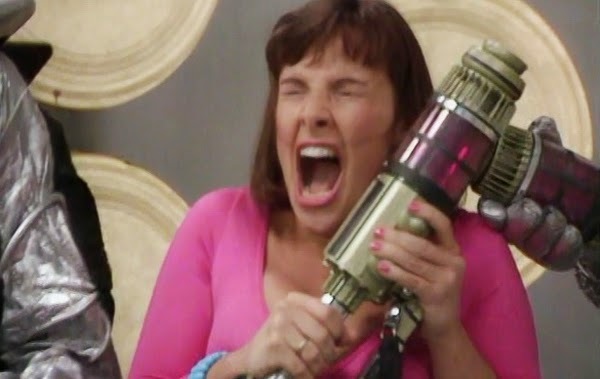 While the first episode makes use of continuity (the sewers, the chameleon circuit, Lytton to name the three major examples), it is the story’s second and final episode that the continuity comes on fast and loose. The result is a tangled skein that it is all but impenetrable to many fans, let along members of the general public. Recent criticisms of New Series episodes that tied into continuity just a couple of years old have nothing on this story's use of two decade old elements: at least fans today can access episodes at will whereas elements being referenced in Attack came from stories that were in some cases entirely missing, possibly forever. Doctor Who in the mid-1980s has often been criticized for its over reliance on the show's continuity, which is something that, when the era is viewed as a whole, seems odd, until stories like this where its easy to see where that thought came from. And some of the continuity usage seems to be downright cynical as well. John Nathan-Turner hit upon the idea of changing the outside of the TARDIS, ditching the familiar police box shape and mined the notion for all it was worth to publicize the show in the lead up to Attack being broadcast. While that's not necessarily cynical in its own right, spending a chunk of already limited screen time to tell an already over-packed story simply to annoy some fans certainly is. On the flip side of that is the use of elements from Tomb Of The Cybermen, from the tombs themselves, right up to bringing back a frankly unsuitable Michael Kilgarriff simply because he'd played the part 18 years earlier. It feels as though that what the production team was trying to do was to remake Tomb Of The Cybermen for a generation of fans who (as far as was known in 1984-85) would never get to see it. It was an attempt to please the fans but instead Attack Of The Cybermen served simply as an example of what happens when loose ends and memories of a story thought to be lost forever were forced to fit into a new adventure already too complex for its own good. What effect did this have on Doctor Who itself? Well ratings wise, it hurt the show. Doctor Who was moved away from Saturday nights for the entire Peter Davison era after season 18 took a bashing against imported US science fiction on ITV. The show had thrived in the twice weekly weekday evening slots, but was moved back to Saturday nights for season 22 to make way for a new soap that the BBC was planning on launching. ITV still ruled Saturday nights, though part one of Attack Of The Cybermen got a very good audience of 8.9 million. What happened a week later, and the weeks that followed, though is telling, because part two dropped to 7.2 million, losing close to two million viewers in a week. That number continued to drop until the hiatus/cancellation and the publicity that surrounded it when viewers tuned in to watch first Timelash and then Revelation Of The Daleks. From that point on though, the show's ratings would continue to fall year after year, no matter how well the show was doing creatively, to the point the BBC could pull the plug without fear of another high profile publicity nightmare. Speaking of the hiatus/cancellation, the timing of both this story and the ratings drop may be worth keeping in mind. From what can be gathered, the decision by Michael Grade and Jonathan Powell to take Who off the air came just as this story and the subsequent Vengeance On Varos would have been going on. Neither were supportive of the series, and in light of a combination of BBC funding cuts, the need to get daytime TV going, and the purchase of the Elstree film studios as a BBC back-lot, something was going to happen to Doctor Who. Even Juliet Bravo, the at the time successful cop series, had its episode count reduced as a budget saving measure. Doctor Who either would have had its episode count reduced or be taken off the air all together. History tells us which decision they made and I submit that stories like Attack are why they made it. 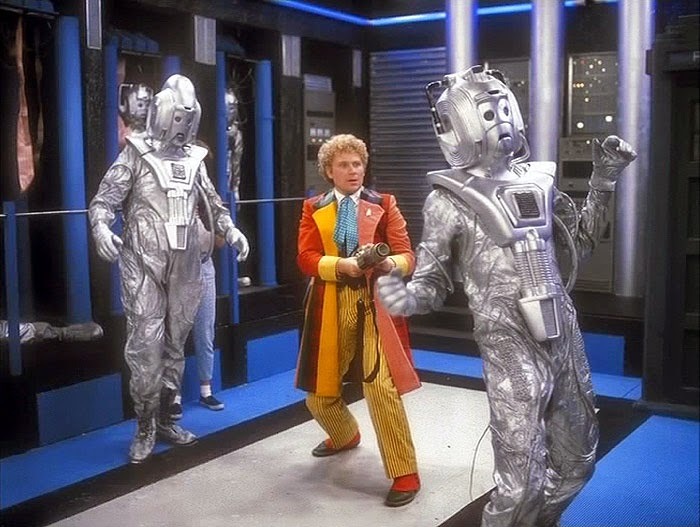 Attack Of The Cybermen, like much of the Colin Baker era, is the story of being in the wrong place at the wrong time. Doctor Who's fate was on the line and it needed perhaps more than it had previously to be a popular success. What it instead served up was an adventure that jumbled continuity together mixed into a story that was made even more complex, resulting in the public walking away from it and never coming back. Attack Of The Cybermen then wasn't a new beginning... it was the beginning of the end.